We aim to incorporate environmentally friendly designs and permaculture practices into all of our landscaping projects. 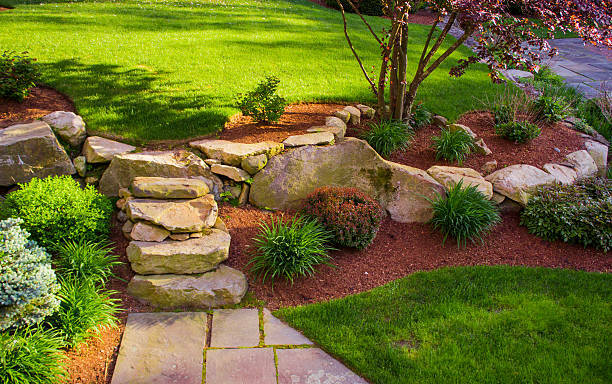 We specialize in using natural stone and natural horticultural methods to create beautiful low-maintenance landscapes. 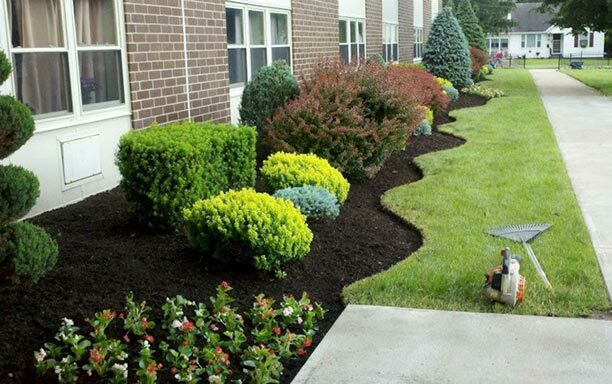 Whether you just want to give your property a facelift in order to create some curb-appeal, or you want to do a full overhaul or new landscape installation, we offer various options and products to suit your budget. Retaining walls, green "living" walls, decks and patios, decorative stonework, sodding, gardens, edible landscaping, drainage, driveways, fire pits, walkways, and outdoor lighting are just some of the options you can choose. The Green Team originally started out just mowing lawns, so we know a thing or to about what it takes to make a lawn look great. 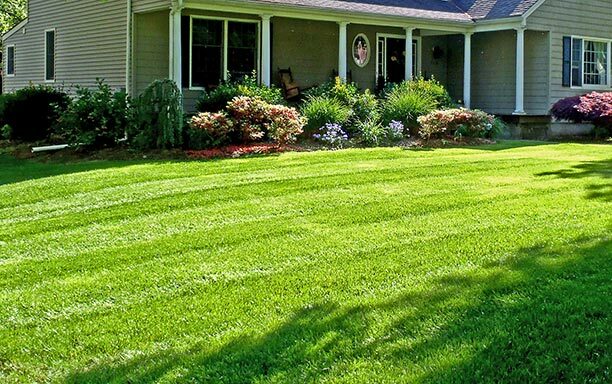 We pride ourselves in making your lawn look its best. 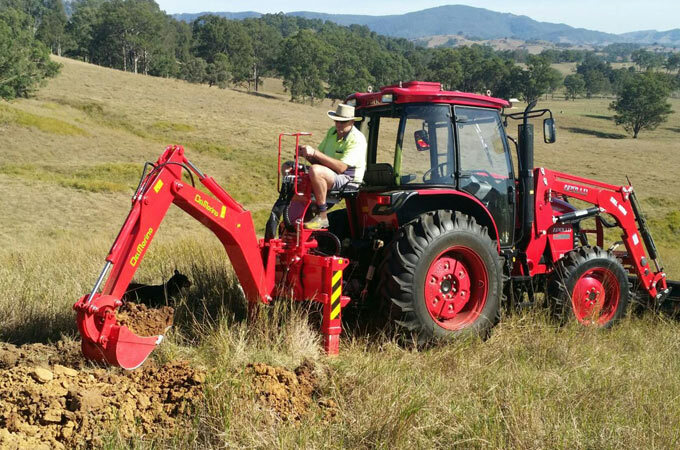 Steep hills and tight spaces are no problem for us to handle. 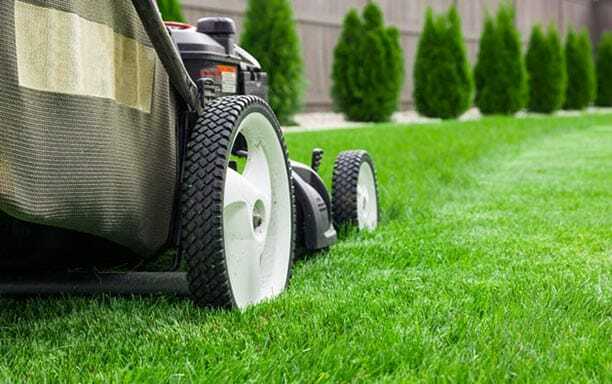 We can schedule weekly or bi-weekly visits on pre-determined days so that you can have the piece of mind knowing that you can relax and count on us to keep your lawn looking great. Nova Scotia's winter season is tough on grass. Freezing temperatures, snow and ice have the potential to cause significant stress and injury to lawns. The result? Dead patches and areas that fail to green up in the spring. We can hand-dig broad-leafed weeds in your high-profile areas. We can spray for grub infestations using a natural product we work with, but unfortunately, we do not offer chemical spraying for weeds or other insects. We can completely clear your lot or selectively cut and thin out your section of forest in order to enhance the health and appearance. Trees are an investment. Not just a sentimental investment, but also one requiring diligent work to maintain many years of health and beauty. 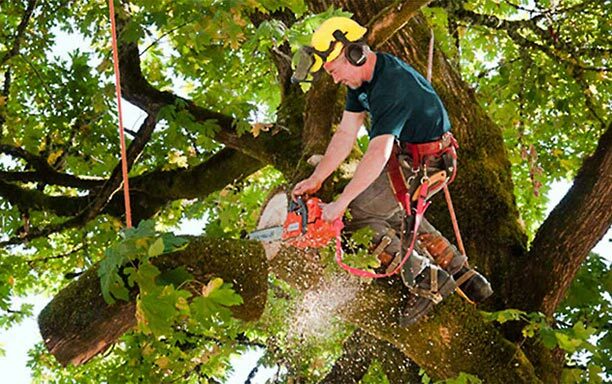 Green Team Contracting can provide helpful advice and services to help keep your trees healthy and happy. Hedge trimming is hard work, but it is well worth the effort. 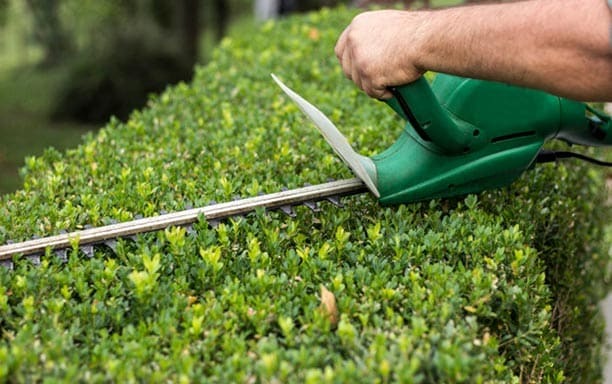 Let us take care of the backbreaking labor and hours that can be involved in trimming a hedge. We have the proper tools and extension saws to be able to take on the biggest hedges around. Hedges that are well cared for add value to your property through their natural beauty and shade. We can clean the leafs, debris and garbage from your yard, edge your gardens, walkways and driveway, weed the gardens and add fresh bark mulch. An average sized property can usually get this done for under $1000. It is well worth the investment and it is amazing how much this simple service can enhance the look of your property. We understand the importance of keeping a garden well maintained and how only a few short weeks of neglect can create a mess of weeds that is beyond what you want to clean up. 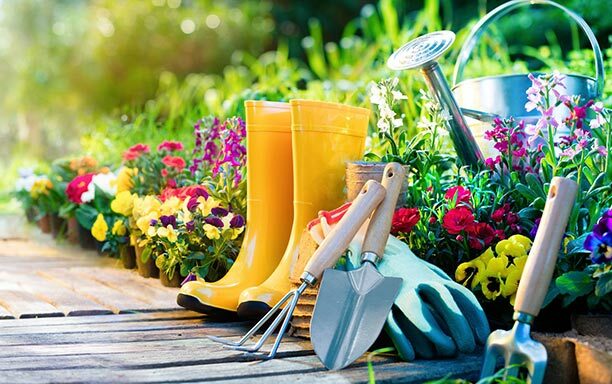 Our gardening crew can offer a one-time clean up, weeding, pruning and mulching of your gardens and we can also offer regularly scheduled visits to keep your gardens and shrubs looking fresh, weed free and hassle free. After many years of our customers asking where they could find a high quality, reliable and trust worthy house cleaner, we decided to take on a few customers in a test project in 2017. 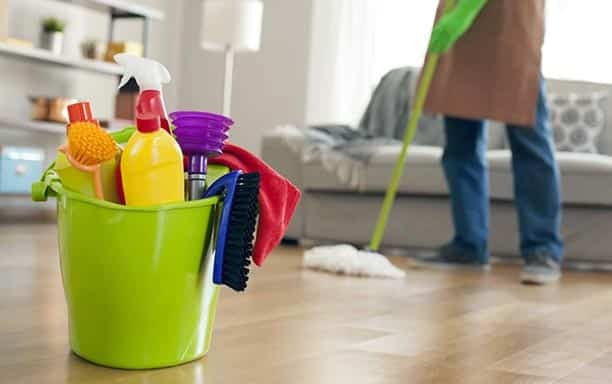 We now offer house cleaning services that can be set up as regularly scheduled visits, on call service, move out/move in cleaning for rentals, vacation rental property cleaning between guests and post-construction clean up for renovations or contractors. We use a high-powered pressure washer and toxin-free cleaning products to clean your house, deck, walkways or driveway. We offer other services such as: Light Trucking, Backhoe and dump truck service, Rain Gutter Cleaning, Window Washing, Junk Removal, Painting, Decks, trellis' and other custom woodworking, Set up and/or storage of lawn and garden furniture, Holiday lights and decorations. We provide snow and ice control solutions for both commercial and residential customers. We have various equipment available so that we can tailor our service to suite your needs. 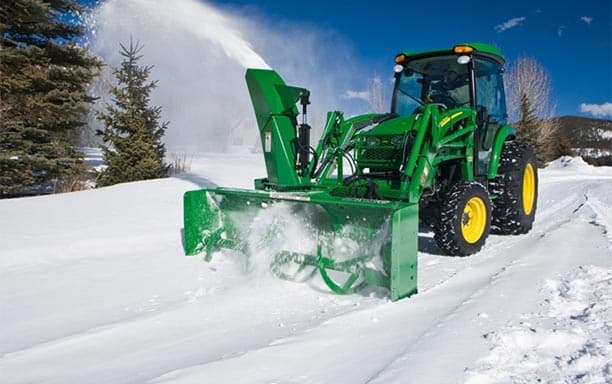 We offer both plowing and snow blowing and we have a dedicated team for hand shoveling. We have a backhoe available for pushing back snow banks or we can truck away your snow banks if they get too high. We are also the first company in the area to exclusively offer "Green" Eco-friendly Ice Melt Products as an alternative to traditional rock salt, which has been proven to have very negative impacts on the environment and our roads and vehicles.